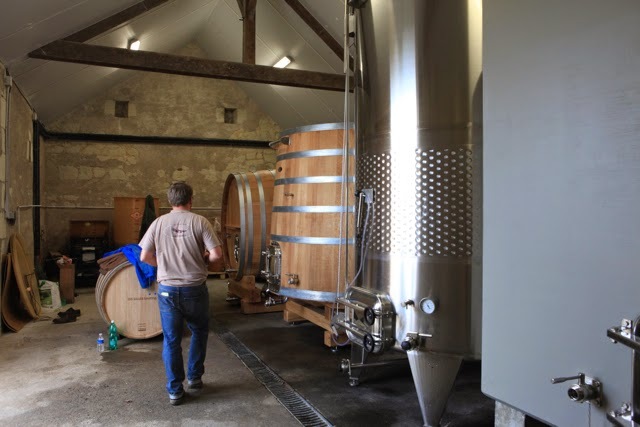 This week we spent from Tuesday afternoon to late Friday afternoon in Loire vineyards from Vouvray to Savennières via Chinon, Bourgueil, Saint-Nicolas-de-Bourgueil, Saumur and Saumur-Champigny and various Anjou ACs. 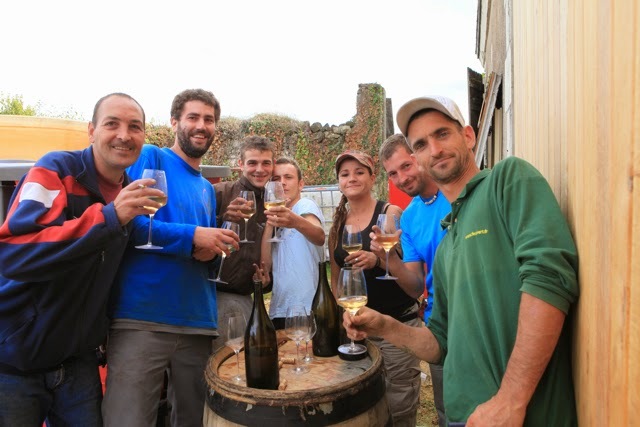 2014 in the Loire remains promising, although many producers have reported that it is a complicated vintage. They remain happy with quality, although many have been disappointed that the yields are lower than than hoped. 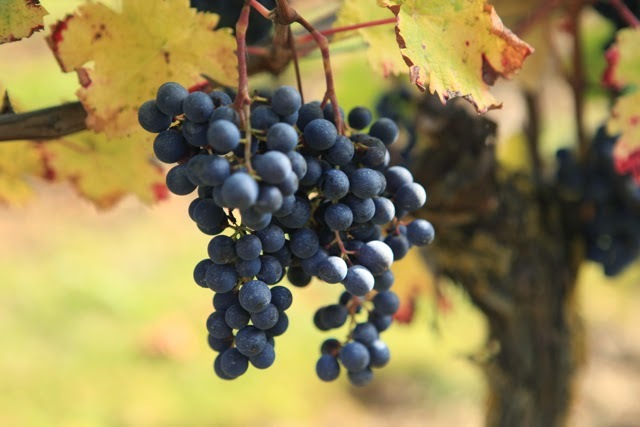 Many have reported yields of around 40 hl/ha where they would have preferred 45/50 hl/ha to make up for the lack of grapes in 2012 and 2013 that a number experienced. My impression tasting 2014 juice across all of these ACs, although obviously it is still very early to predict the outcome, is that the juice is very clean with a good balance of fruit and acidity. Within appellations there is a big difference in time of picking. 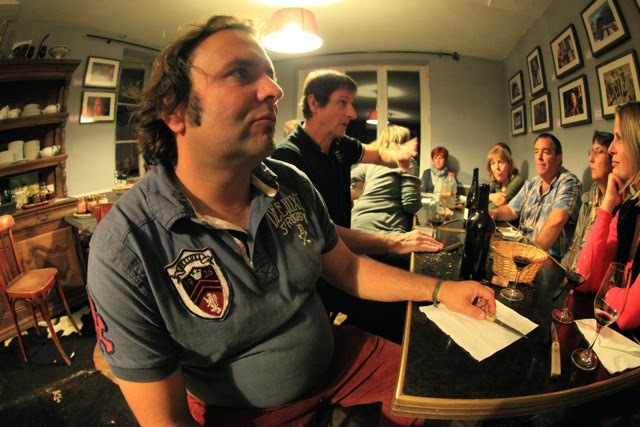 In Chinon, for instance, Domaine Bernard Baudry and Jourdan Pichard finished last Wednesday, while Couly-Dutheil and Domaine de la Noiré (Jean-Max Manceaux) will not be starting the reds until Monday. 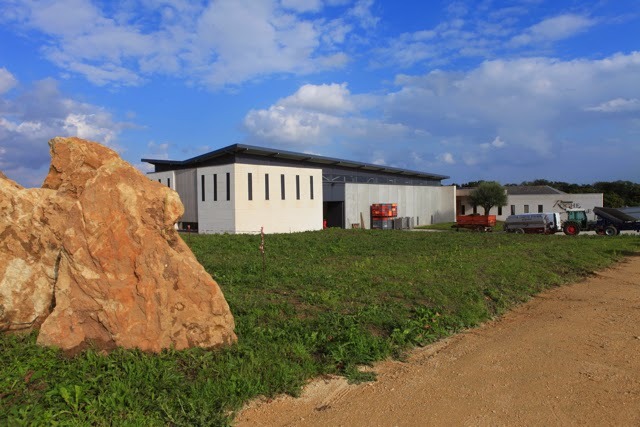 Jean-Martin Dutour of Baudry-Dutour and now président of the Chinon appellation, told me that machine harvesting for the reds will have finished this week with the 20 hectares of the domaine – Château la Grille and Domaine Saint-Louans – that is hand-picked will be started on Monday. By last Wednesday 75% of AC Chinon had been picked. Parts of Chinon – Cravant-les-Coteaux, Ligré and Sazilly – were hit by hail on 19th September. Fortunately the following week was very dry and sunny, so the grapes damaged by hail dried up. After the storm Baudry-Dutour picked their affected parcels to make rosé. In Bourgueil and Saint-Nicolas-de-Bourgueil it is the same with some finishing while others have barely started. 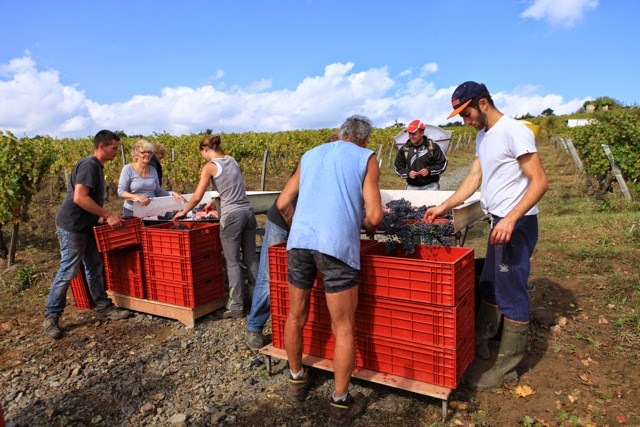 On Wednesday afternoon (8th) Frédéric Mabileau sent his entire team out to pick the last grapes – I'm not sure if they managed this in the torrential downpour at the end of the afternoon! Taluau-Foltzenlogel have finished while Audebert were due to finish on Friday. 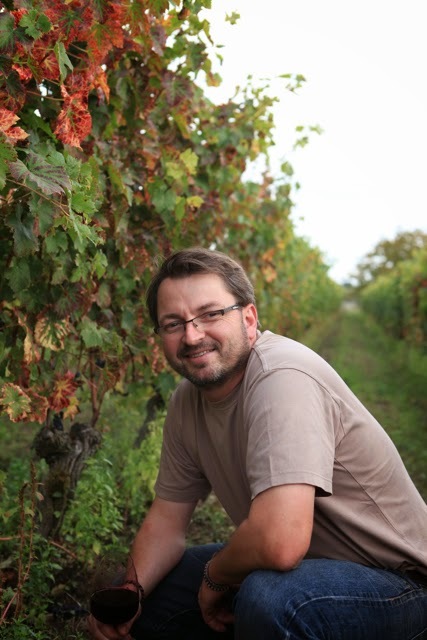 Jean-Claude Audebert reported yields of around 40hl/ha – would have preferred 45-50hl/ha. Picking was in full swing at Domaine de la Butte on Thursday with an expected finish on Saturday, also at Domaine de la Chevalerie with another six days of picking left from last Thursday and at Lamé Delisle Boucard, where they had picked a little under half by Thursday morning with degrees ranging from 12.4 to 13.5. The Cabernet Franc looked good at all three domaines as it did wandering through the vines. Ludo at Café de la Promenade reported that the Bretons were waiting for this coming week. 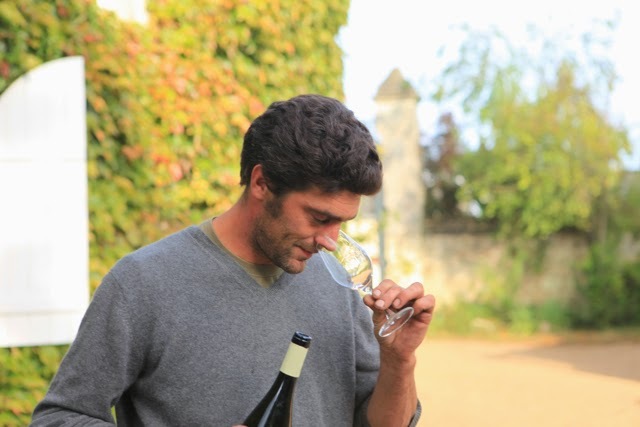 Sébastien David also said that he had paused in picking waiting for acidity levels to drop. There is a similar disparity in Saumur-Champigny with some like Jean-Pierre Chevallier (Château de Villeneuve) finishing on Thursday morning. 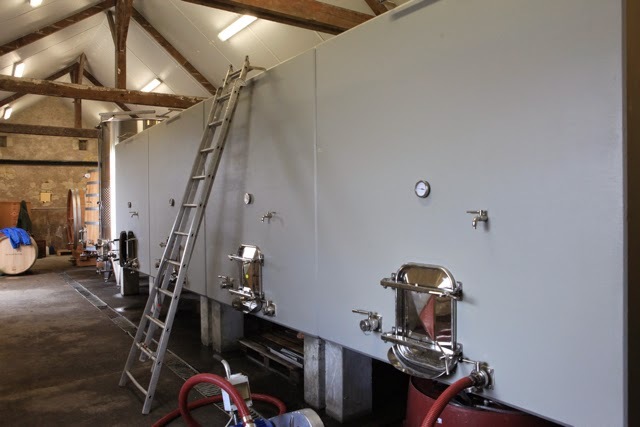 He started the whites (Saumur Blanc – Chenin Blanc) on 25th September having obtained a dérogation from the INAO to pick everything on one swoop. JP is well happy with potentials varying from 11.2% potential to 13.5% and acidities between 5.2 and 5.5. 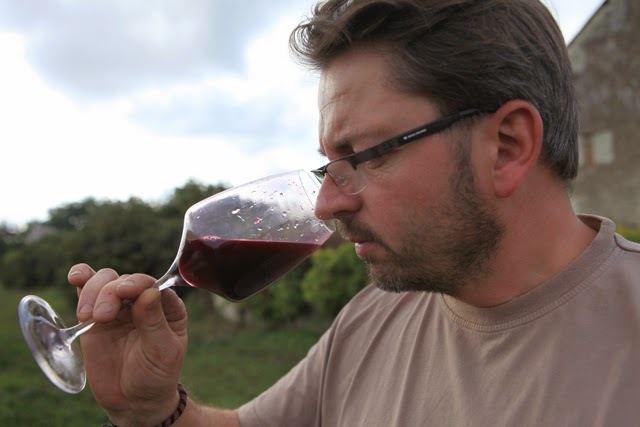 Villeneuve started the reds on Wednesday 1st October with a range of potential alcohol from 11.8% - 13.5%. Overall their yields are between 40-45 hl/ha. JP reported that some producers had had problems with acid rot, which is being blamed on the Asian fruit fly (Drosophila suzukii), which unlike the common fruit fly is able to pierce grape skins. 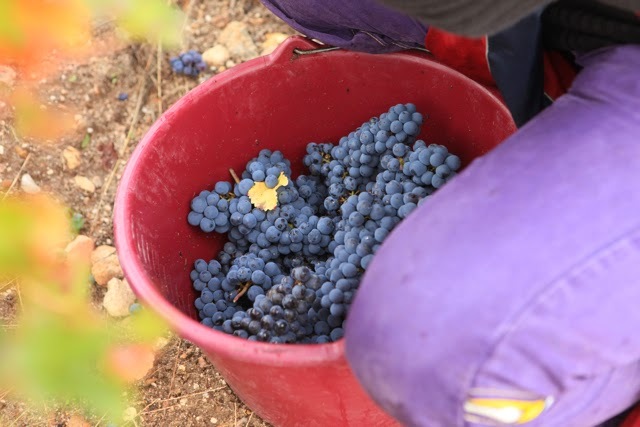 If you pick by hand is is much easier to discard the affected grapes than it is using a machine harvester, although the most recent harvesters are very sophisticated and their sorting systems may well eliminate the rotten grapes. But what of the vinegary juice from the rotten grapes infecting the machine? Driving through parts of Saumur-Champigny on Thursday it is clear that there are still a considerable number of parcels yet to be picked, especially on the coteaux (the northern part of the AC close to the Loire). 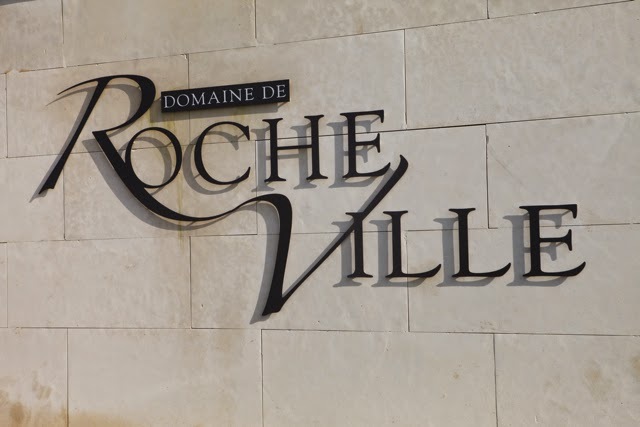 We dropped in on Domaine Rocheville's new winery (Agnés and Philippe Porché) on Les Hauts de Valbrun at Parnay. They had started picking the whites on Thursday 2nd October and started the reds the following Monday. They expect to finish on Wednesday. contracted to the Co-op de St Cyr, so all 11 ha of harvest are his. It is a shame that the fine weather through almost all of September and into the first few days of October didn't continue for just another week or ten days. The fine spell came to an end on the afternoon of Saturday 4th October. The weather station at Tours recorded 10.5mm (4th Oct), 17.1mm (6th), 8.2mm (7th) and 27.4mm (8th). The total for the month is now 65.4mm – very close already to the average total (1981-2010) for October of 70.9mm. During September on 15.7mm of rain fell compared to the average of 53.2mm. Despite the rain, and amounts will of course vary, the Cabernet Franc appears to have resisted this heavy spell of rain well. Less sure about Chenin Blanc in Vouvray and Montlouis – that much closer to the weather station at Tours so the stats should be that much more accurate. Unfortunately it has been raining again today from around 11am – initially quite light but now (2.15 pm) raining steadily. Looks very likely that today's rain will push October 2014's rainfall over the average just 12 days into the month. Luckily the forecast is good for most of this coming week after an uncertain day tomorrow.